The ways of war were changed forever with the advent of trenches. 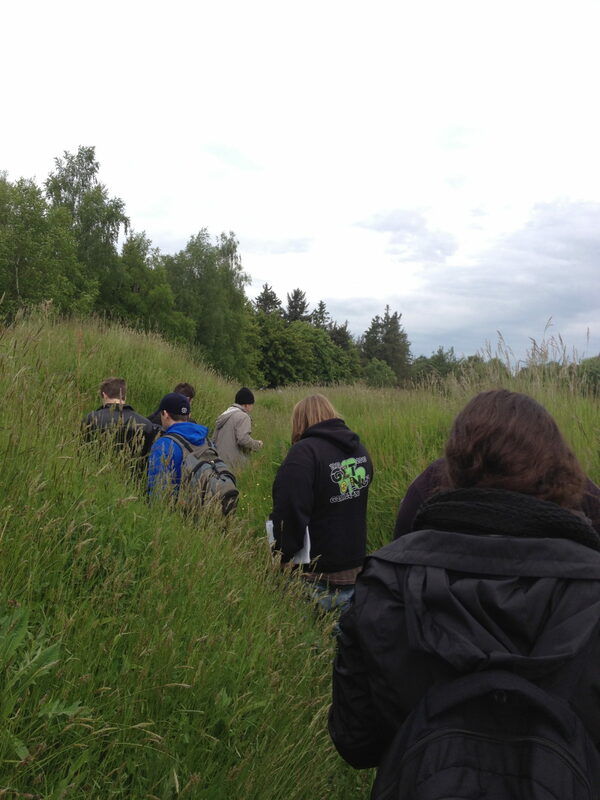 Trench warfare came about during WWI and with it also came new threats and challenges to soldiers on either side. The trenches allowed each army to hunker down and take a strong hold on their position. Neither army was able to effectively push the other off the field. This resulted in a long stalemate which lasted months. 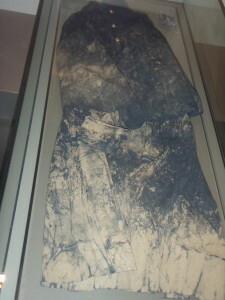 Men could not leave the trenches and suffered horrible conditions. It was very difficult to get aid and much-needed supplies to the soldiers in the trenches. 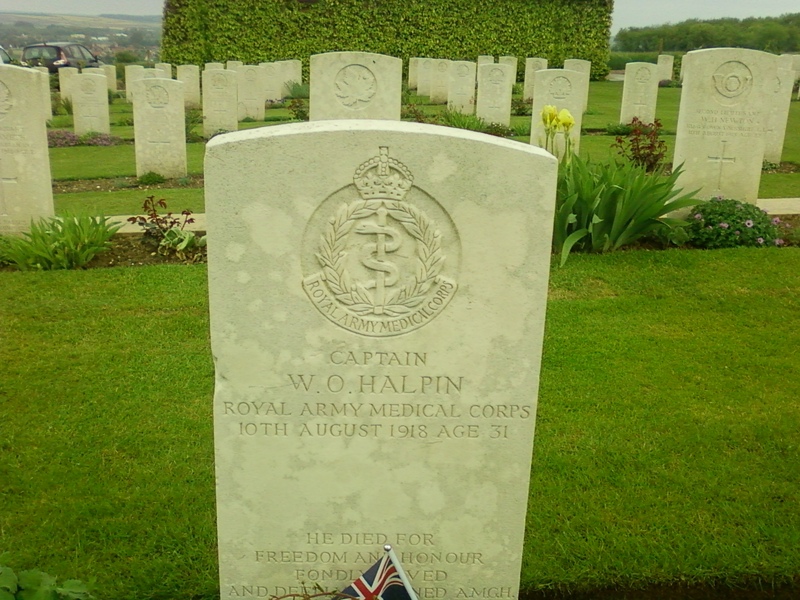 The soldiers suffered from thirst and starvation, trench foot, lack of ammo. They froze in the winter and endured the heat in the summer. The soldiers had nowhere to relieve themselves other than where they stood, the trenches were plagued by rats, and bacteria festered in every wound. 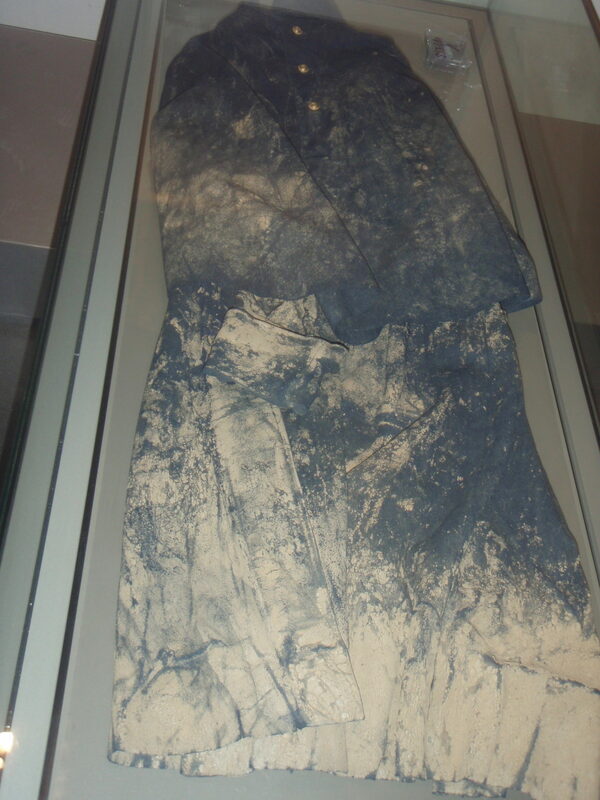 Many soldiers suffered amputations due to infections due to these unsanitary conditions. 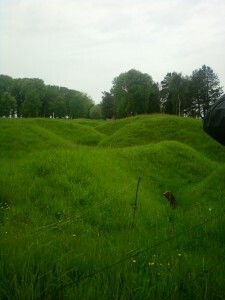 New weapons were used with the introduction of the trenches. Barbed wire, poison gas, tanks, machine guns, aircraft, and mines were used for the first time. The use of these weapons resulted in mass casualties and the death toll count would reach into the tens of thousands on some days. Artillery was responsible for the majority of the casualties suffered on both sides, but machine guns and gas played their part too. Waves of oncoming troops would be mowed down by strategically placed machine guns and poison gas launched into the trenches flowed along, suffocating anyone unfortunate enough to be in the vicinity. Tanks were introduced towards the end of the war and were designed to plow through barbed wire blocking access to the enemy’s trenches. The Germans did not utilize the tank, which contributed to their defeat. Fighting in the trenches of WWI was a nightmare. 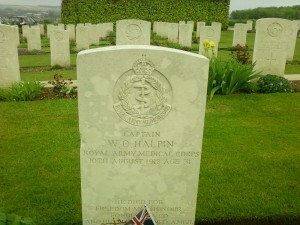 It mentally scarred soldiers who fought and opened the eyes of the world to the horrors of war. Many of the weapons and methods of trench warfare became the subjects of treaties and agreements of countries worldwide. 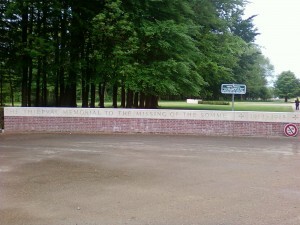 Many measures have been taken to try to prevent a repeat of events that occurred in the trenches. 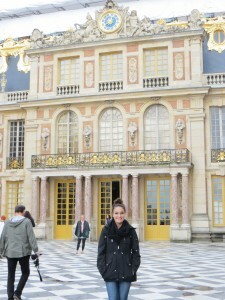 Today we visited the Palace of Versailles. As soon as you can see the palace in the distance the first thing you spot is gold. The closer I got to the palace I noticed the building itself wasn’t the gold I was seeing but the giant gold gates surrounding the palace. The Palace of Versailles was said to have cost 2 billion dollars’ for its construction, with over a 1,000 windows and a total of 67 staircases throughout. The Palace was built in 1624 and originally used as a hunting lodge. 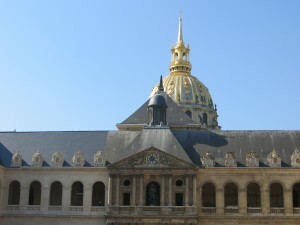 Later it was expanded by Louis XIV in 1669. Louis XIV himself lived in the Palace of Versailles as well as Marie-Antoinette. Once you step into the front doors of the Palace the first thing you notice are the beautiful statutes within the building as well as many gorgeous paintings and immaculate furniture. Walking through the Palace you come across a long corridor of mirrors covering the walls from floor to ceiling with crystal chandlers as well as more gold. 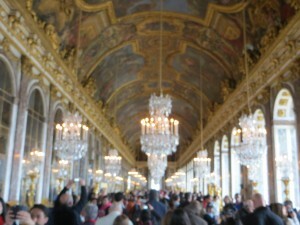 This long beautiful hallway is known as the Hall of Mirrors. This Hall of Mirrors is not only breathtaking to walk through but is important as well. The Treaty of Versailles was actually signed in the Hall of Mirrors. This treaty was one of the peace treaties signed at the end of World War I. It ended the war between Germany and France. 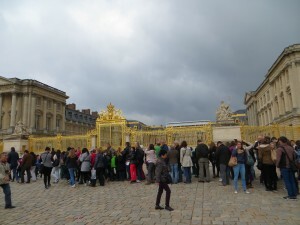 Behind the Palace is the Garden of Versailles. 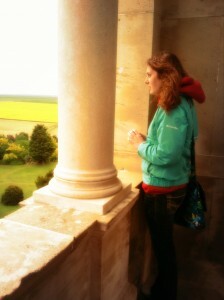 To be completely honest I was more excited about the gardens than the Palace itself. This royal garden is considered one of the most famous gardens in the world. The majority of the land is covered by finely landscaped woodland areas and several beautiful gardens with classic French style. Inside the garden there are more than 50 fountains, several statues made of marble, and flowers and trees spread throughout. Just to give an understanding of not only how beautiful this garden is, but how big, there are 200,000 trees, as well as 210,000 flowers planted annually. The gardens are definitely something that everyone should see at least once in their life. Getting to see the Palace of Versailles was an amazing experience. I have never seen anything more immaculate in my life, or more gold for that matter. But please prepare yourself for the most people you will ever see jammed together. On Tuesday, May 28th, the Missouri S&T students and faculty visited various places that went over the entire Battle of the Somme, many of which included graveyards and memorials. One such memorial that was visited mid-morning was Thiepval, precisely, The Thiepval Memorial to the Missing of the Somme. Though we were only given a half-hour at the memorial, the impact of the site was still very heavy on us, as standing under the arches of the brick memorial and seeing every name of the nearly 72,000 missing men brought about feelings of intense loss. 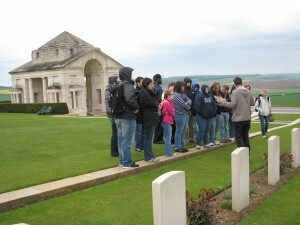 At the memorial, we visited the visitors’ center first and had an introduction to the Somme battles by our tour guide. We saw pictures of the men and in the eyes of the soldiers one could see the horrors they experienced in war. Looking around the small visitors’ center could never prepare a person for the monument itself, even with the small model on display in the lobby. 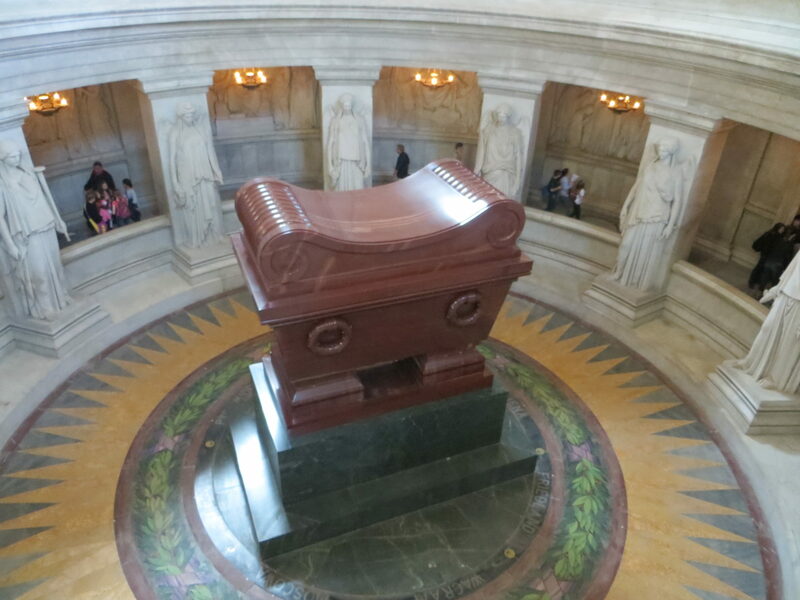 On Monday, the 27th of May, our first class trip was to Les Invalides. It was quite an experience to say the least. I am not very well-read in the areas of French history and did not know what to expect up arriving. 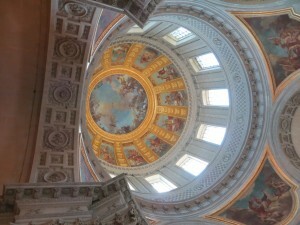 The first thing I see when I Walk up is what appeared to be a beautiful gold plated domed church. 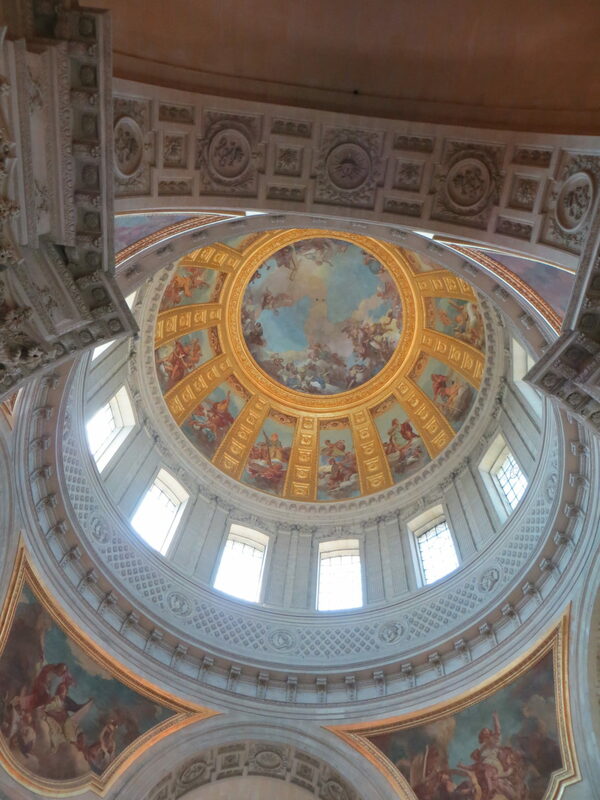 I was awe struck at the architecture and beauty of this dome at Invalides which I later found out to be Napoleon’s tomb. It was nothing like I had ever seen before. This was the first image that really stuck out in my mind. Continuing our trip, we traveled onward to see the Musee De La’armee which is right next to Napoleon’s tomb. This was a very interesting museum. 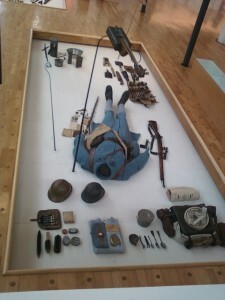 It contained articles, books, videos, actual WWI and WWI rifles, gear, maps, etc. It was really cool to be able to see this first hand. This was a guided tour, but what was significantly different from what I expected a tour to be was the fact that you had a head seat with audio that explained all the different areas and sites of the Museum. This really helped because you could go at your own pace throughout and if you missed anything or needed to see something again you were able to do so with a push of a button. The museum was very influential to me because I was able to see the history first hand which helped me to better understand the material being set forth rather than just reading out of a text book. It left a lasting impression that I will remember forever. It was also interesting to see other aspects of history that I had not learned before; being that this museum was set from a French perspective. I learned some background to the French Military and how they evolved into in the early 20th century. France was the most stricken country of the Great War, WWI. Millions had fallen and many more wounded and mutilated for life. World War II was just as severe. 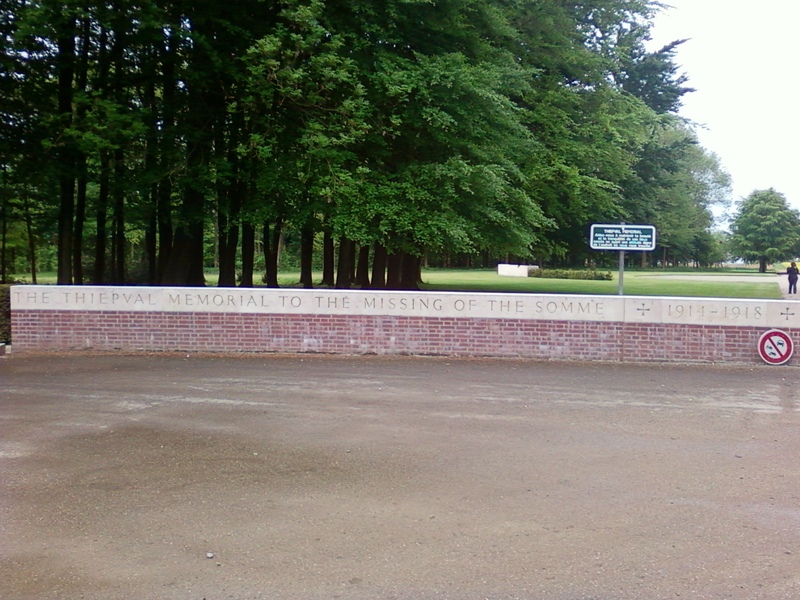 It is hard to imagine the reality that all the soldiers and civilians had to face during these terrible times. One interesting fact that really stuck with me was when I was learning about the Yellow Star. This is a star that Jews over the age of six had to wear. I was informed that in France, out of the thousand captured, arrested and deported only three percent ever made it back from the camps. This number was shocking. There is more to tell but you will just have to see it yourself to fully understand. Before I left Invalides I had to visit Napoleon’s Tomb. This was the most intriguing, stunning a display I had ever seen. It is more than I can describe in words. You must see it if you ever have the chance. 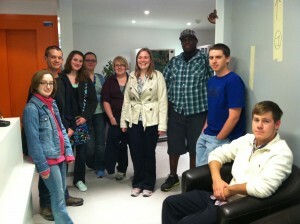 All of our students have arrived safely. 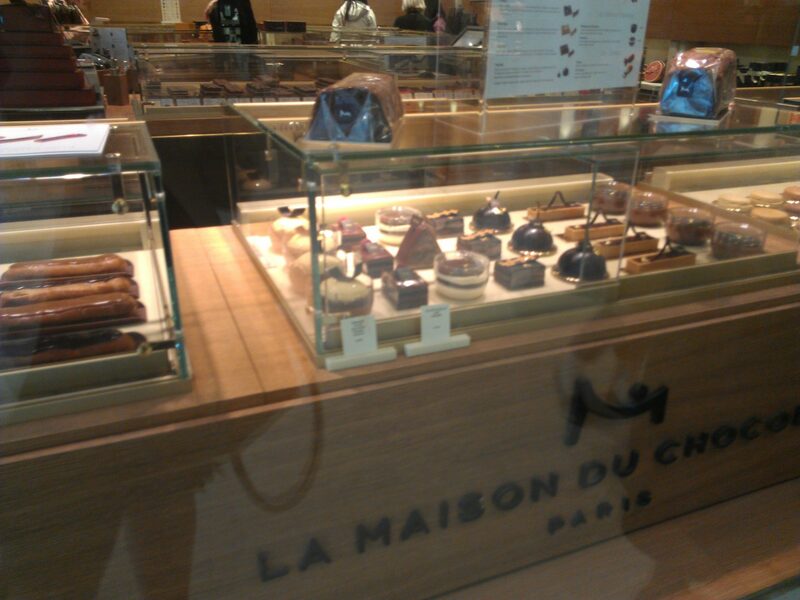 Just getting to Paris was a learning experience for all of them. The past few days they have begun exploring the city. 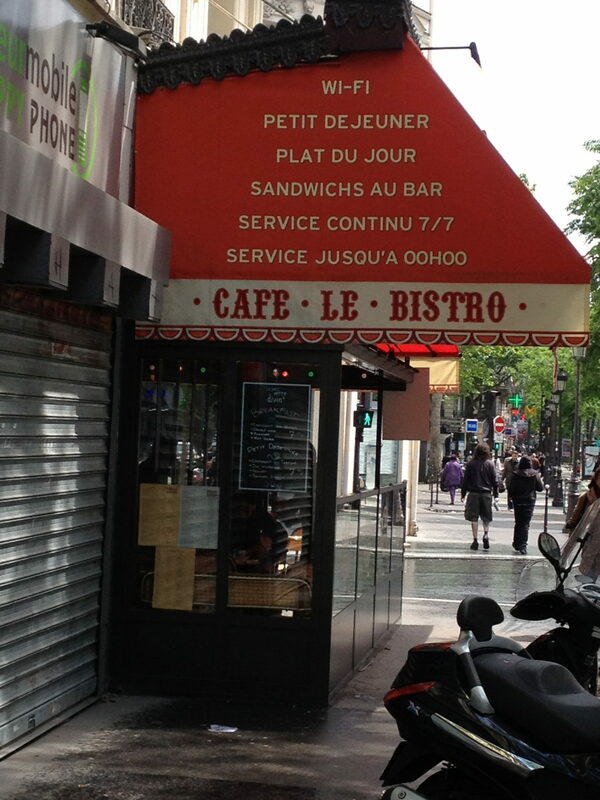 Our hotel is located in the 10th arrondissement in Paris, only a five-minute walk from the Canal St-Martin. 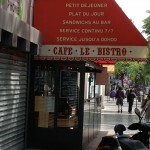 It is a nice neighborhood, close to the Gare de l’Est (a train station) and many restaurants. 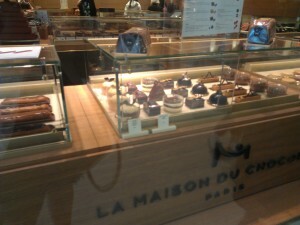 But it is not surrounded by the iconic monuments we associate with Paris. 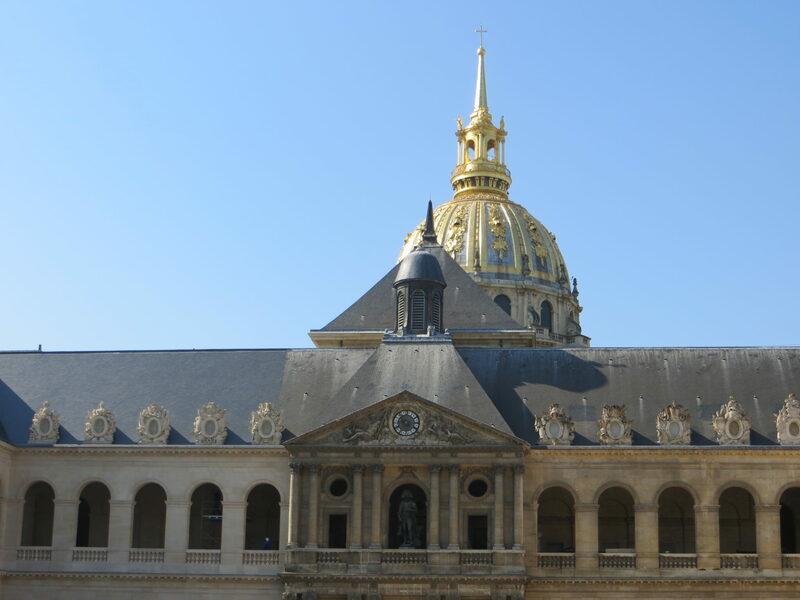 So when we took our first excursion on Monday, it was exciting to watch the students’ expressions as we came up out of the metro station and they got their first glimpse of Les Invalides, with its golden dome. 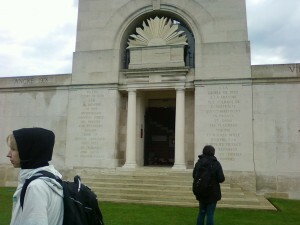 We visited the World War I and II exhibits there, and Claire presented a talk on war propaganda. 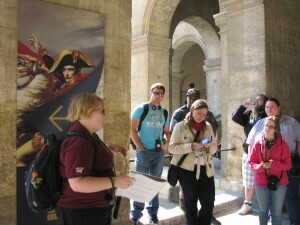 Later that afternoon, we met the students at the Arc de Triomphe. 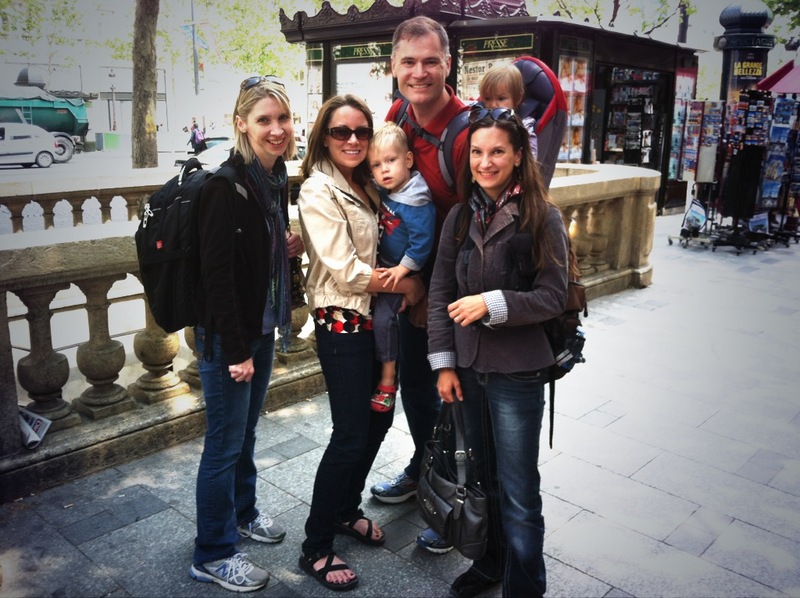 While Shannon and I were walking along the Champs-Elysées, we ran into Dr. Dan Oerther and his family! 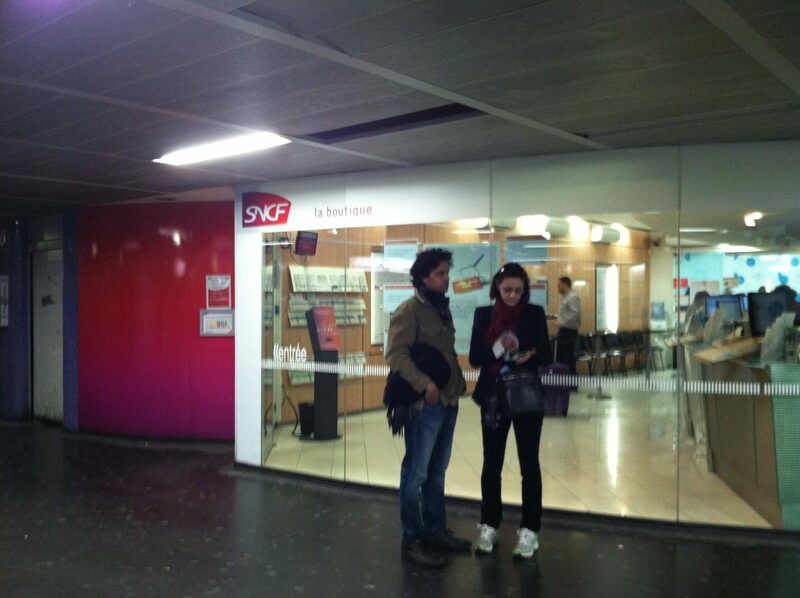 They are in France for a conference. 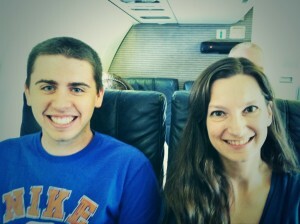 It’s a small world! 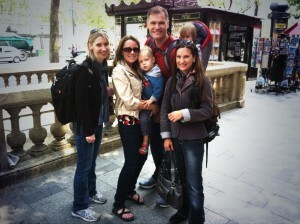 Here we are with Dr. Oerther and his family on the Champs-Elysées. 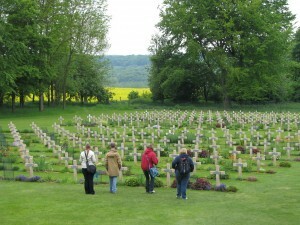 Today (Tuesday) we went for an all-day tour of the Somme. The students will be posting more information about these visits in the following days. What Kind of S&T Student Studies Abroad? James with Dr. Langston on his first commercial flight ever!